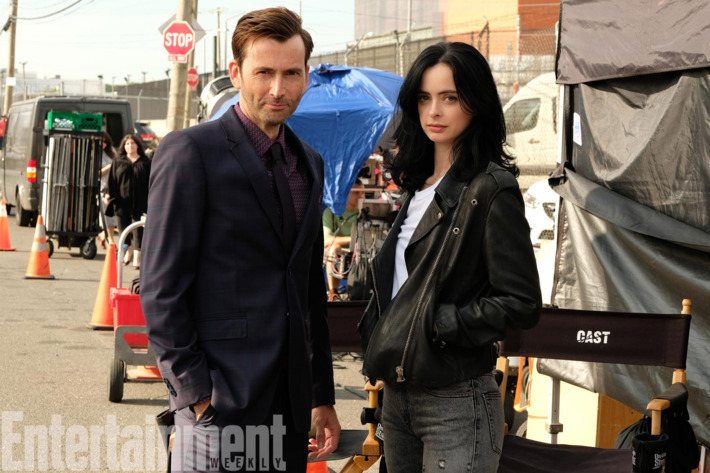 The people want more David Tennant, and Marvel has wisely listened: Entertainment Weekly has announced that Tennant will reprise his role as Kilgrave on Jessica Jones season two. 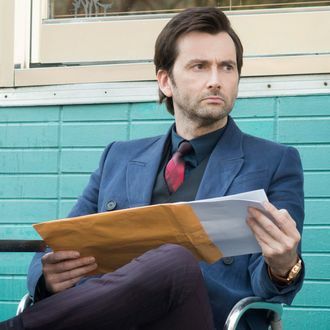 While the former Doctor Who star inspires devout adoration and fandom wherever he performs, Tennant was particularly incredible as Jones’s diabolical nemesis, making Kilgrave the best onscreen villain Marvel has yet to offer. It’s unclear what role Kilgrave will play in season two, though it’ll likely be in flashback given that — spoilers! — Jones fatally snapped his neck in the season-one finale, or so it seemed. For a sneak peek, check out the first photo of Tennant on set below. Jessica Jones will be returning in early 2018.